A new report prepared by West Virginia University researchers examines the the Mountain Health Choices Program, one of the two redesigned West Virginia Medicaid plans to target improving the long-term health of West Virginia Medicaid beneficiaries through engaging beneficiaries to become more involved in their health care. "The program created a two-tier system in which people who agreed to sign pledges committing them to certain behaviors like visiting the doctor more frequently were enrolled in an enhanced plan with more perks than traditional Medicaid offered. Those who didn't sign the agreements are enrolled in a basic plan, with fewer benefits than traditional Medicaid." The report, Mountain Health Choices Beneficiary Report - A Report to the West Virginia Burea for Medical Services was released this week at the West Virginia Health Improvement Institute meeting. The report was prepared by the Bureau of Business and Economic Research. The discussion about health care reform has been front and center lately. Along with the debate comes the discussion and questions about the role technology will (should) play in the reform efforts. I was reminded of a photo I found a few months ago while I was home visiting my dad and looking through some old photo albums with him. Although the technology may have changed some from 1978 to 2008 - human nature hasn't really changed that much. Reforming the health care system involves more than implementing technology. Health information technology will not save the system, make health care cheaper or better without changes to the underlying structure of the system of health that we have built. If we continue our health care system with the fundamental flaws that exist without changing the human/process side - adding technology won't help. 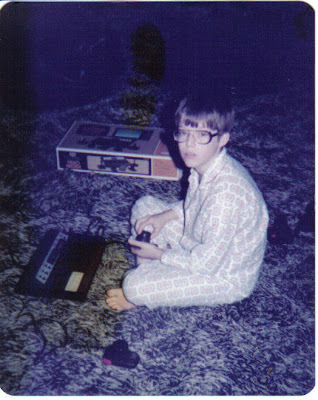 Below is a photo of me from Christmas 1978 with the Atari 2600. The second photo of my son with the Nintendo Wii in 2008. Has much change in 30 years? On July 15, 2009, the West Virginia Health Care Authority filed with the West Virginia Secretary of State proposed amendments to the its procedural rule regarding the schedule of fees for the filing of certificate of need applications and exemption requests under the West Virginia Certificate of Need Program. The amendment revises the fee schedule pursuant to Senate Bill 321 passed during the 2009 Legislative Session. The amendment required the fee schedule contain a maximum amount or cap for certificate of need application fees. The proposed rule, Fee Schedule for Certificate of Need Matters, CSR 65-10 (redline version showing amendments) has been filed with the West Virginia Secretary of State. Written comments to the proposed rule may be submitted to the Authority before August 14, 2009 at 5:00 p.m. 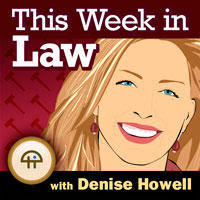 Tomorrow I have the pleasure of being a guest on This Week in Law (TWiL) hosted by Denise Howell (@dhowell) Denise is one of the pioneers of law bloggers (blawgers) who blogs over at Bag and Baggage. TWiL Episode 26 will focus on Health Care, Technology and VRM. Joining me on the show will be Doc Searls (@dsearls) author of The Cluetrain Manifesto, Fellow with the Berkman Center for Internet and Society at Harvard, etc. and Susanna Fox (@SusannahFox), Associate Director, Digital Strategy at Pew Internet & American Life Project. Catch the live version at 2pm EST tomorrow at TWiT (http://live.twit.tv). You can also listen to the rebroadcast as a podcast here or subscribe and listen to TWiL including the Episode 26 Podcast at iTunes. Thanks to Audible.com for sponsoring the show. Brian Peterson highlights a great resource for lawyers who regularly practice in the United States District Court for the Northern District Court of West Virginia. The Attorney Filing Manual is a 20 page manual that provides guidance to lawyers on how to e-file certain types of documents wth the Court. The manual explains when documents should be filed electronically and the exceptions to the mandatory electronic filing requirements. The manual contains specifics on the filing of all types of pleadings and provides sample certificate of services format for electronic filing. The manual also discussed the use of "hyperlinks" in documents and allows electronically filed documents to contain hyperlinks to other portions of the document or to internet sites that contain source documkents for citations. However, the manual states that hyperlinks do not replace standard citations format and "neither the hyperlink, or any site to which it refers, shall be considered part of the record." Today I am giving a presentation with Jud DeLoss on the topic of "PHRs, Health 2.0 and the Impact of Social Media on Health Care" at the American Health Lawyers Association 2009 Annual Meeting in Washington, DC. As a part of the presentation we are sharing the slides from the presentation with the attendees via SlideShare. Below is a copy of the slide deck from the presentation. View more documents from Bob Coffield.